You'd be excused for not having a clue what you're looking at right now. Innovation sometimes goes wrong, but at least the thought was a good, noble one. 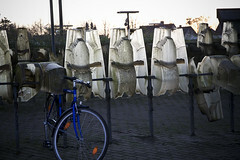 Bicycle racks outside Hedehusene Station, west of Copenhagen. I know about them and have seen them from the train to Roskilde countless times. 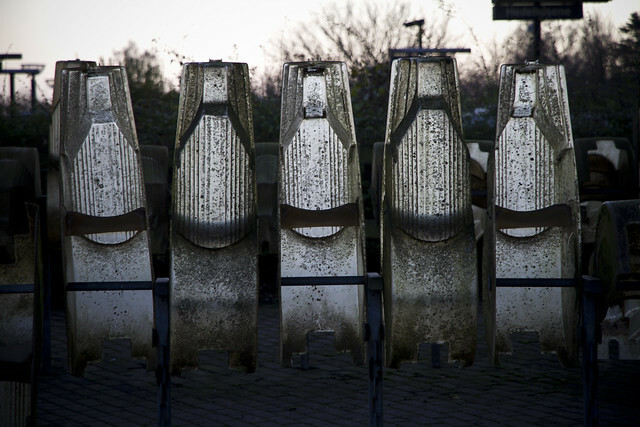 There aren't many places that still have these bicycle racks anymore so when I rode to Roskilde for christmas (previous post) I stopped to take some photos. A rather overcomplicated attempt to provide covered parking for bicycles to protect them from the rain. 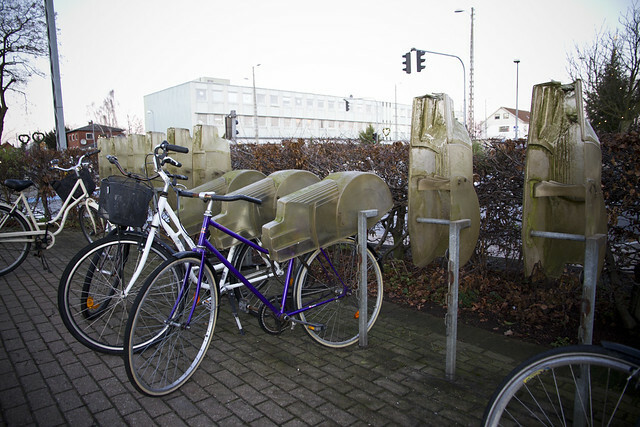 I've never actually seen them in use, so I was suprised to see that four or five bicycles were parked underneath the plastic fantastic contraptions. 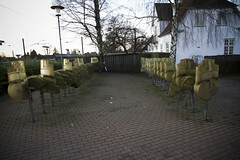 A good idea that never fit in with the Danish desire for ease-of-use and convenience. If anyone knows when these racks were developed, please let us know in the comments.